One of our favourite materials to work with. Voile is a lightweight, semi transparent fabric that can be used in multiple ways using different fullness and layers to make lustrous drapes, swags and ceiling linings. Good draping will transform the atmosphere of a venue, hide unsightly elements and help eliminate acoustic noise in rooms with hard surfaces. 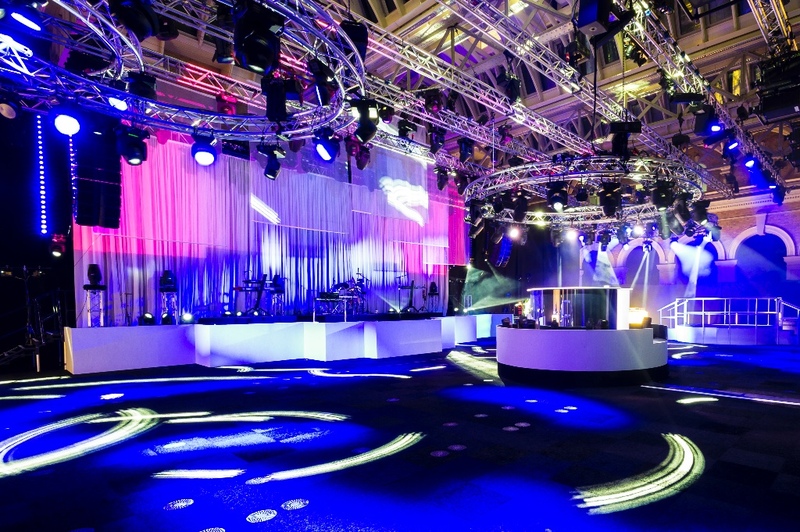 It can reduce ceiling heights and be used to partition areas within the event to create different areas, all with their own themes if required. 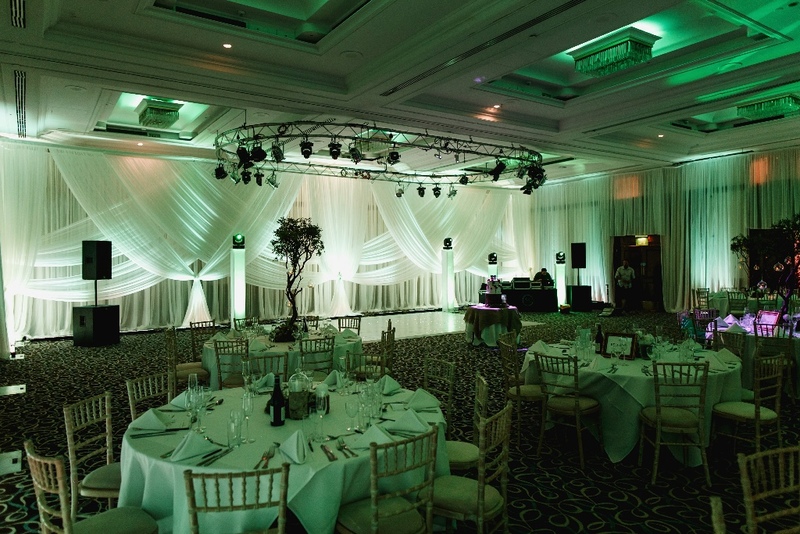 Lighting is one of the key elements in good event design and can transform the feel of any space. 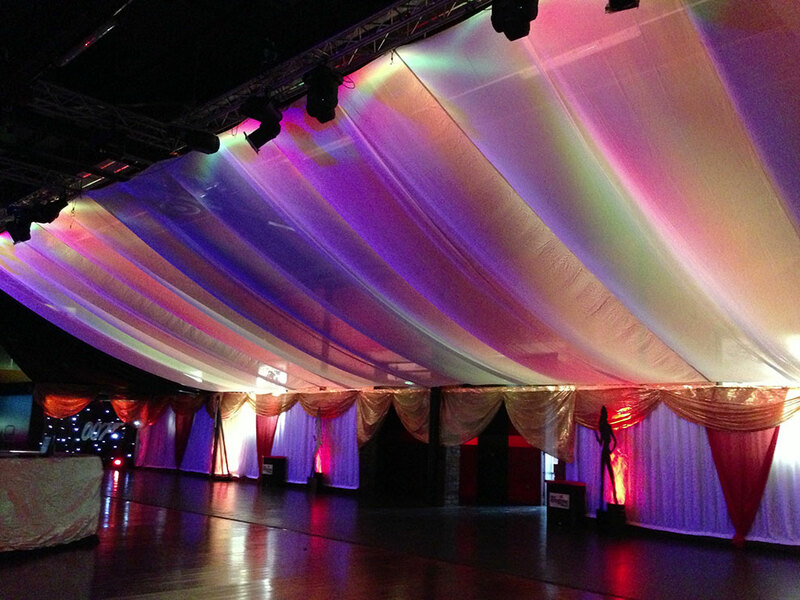 Lighting works exceptionally well on voile and can be used to create stunning effects. 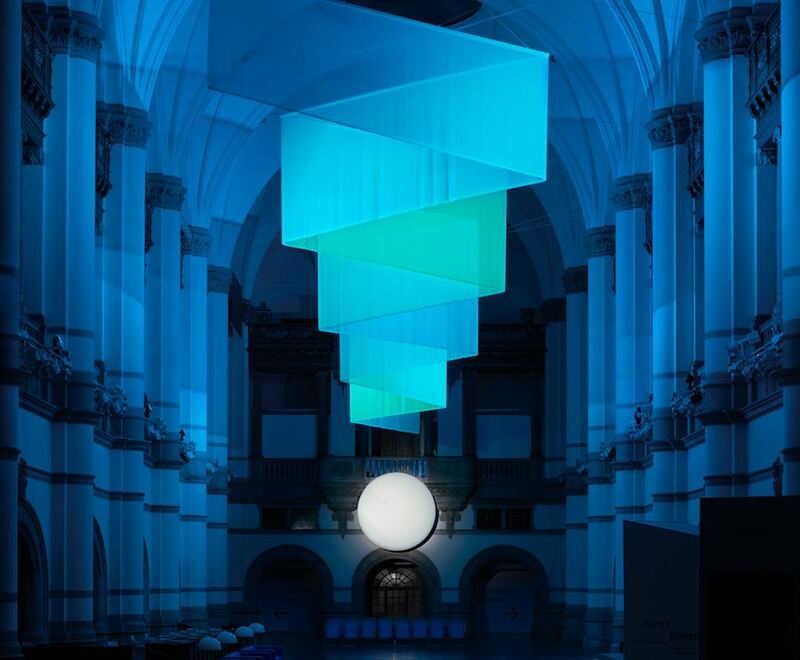 This image above shows a beautiful shot from the Nordic Light Expo in Stockholm in 2017. The designer suspended 50m long semi-transparent voile drapes in a zig-sag pattern over a 5m wide moon. Every 20 minutes the sheer fabric transforms into a mesmerizing light show replicating the famous Northern Lights when beams of coloured lights are projected onto the fabric. Here we used a similar technique when we were commissioned to provide a dramatic light instillation whilst reducing the ceiling height. We used the Northern Lights as inspiration and projected a wash of colours over the voile fabric. The results were simply stunning. Voile may be used as a flat drape, created by spreading the fabric horizontally, lengthwise or widthwise, ideal for projecting on and creating dynamic displays with different coloured lighting. It may also be draped with soft gathers or swags to create softer sophisticated interiors. Voile can also produce fabulous effects when teamed up with accent fabrics.